A Great Desktop Recording Solution! 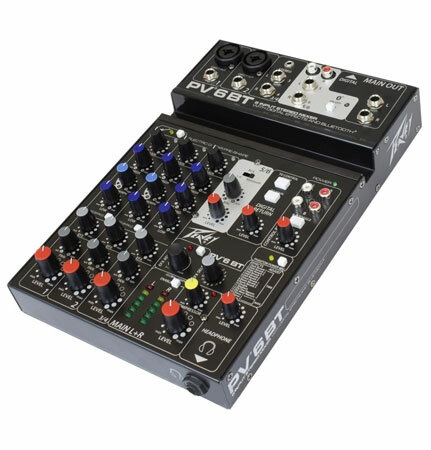 The Peavey PV 6 BT small-format mixer leaves many people wondering how Peavey got so many useful features into such a small footprint. This compact mixer is great for any application where a trimmed-down size trumps number of inputs. With the PV 6 BT you have the ability to send audio directly to your mixer wirelessly via included Bluetooth wireless connectivity. 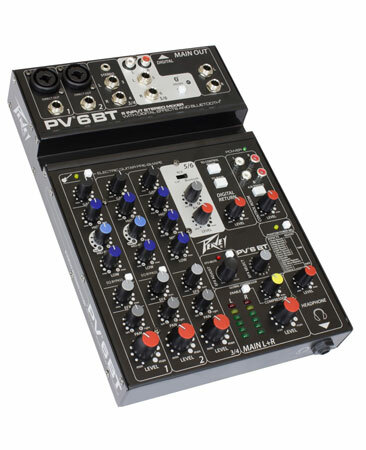 A selectable hi-Z guitar preamp, Digital effects, EQ bypass, and more also go into making the PV 6 BT a great option for your compact mixer needs. 2 universal low-noise microphone preamps, 2 pair of stereo 1/4" inputs, stereo RCA ins, a 3.55mm jack, and Bluetooth connectivity. Not bad for a mixer smaller than some coffee table books. If you use multiple different sound sources for your mixing application but need something in a trimmed-down format the PV 6 BT may be just your ticket. Do you podcast with one or two mics, a device for bringing in music or sound effects, and want to be able to use your bluetooth enabled smartphone for phone interviews? 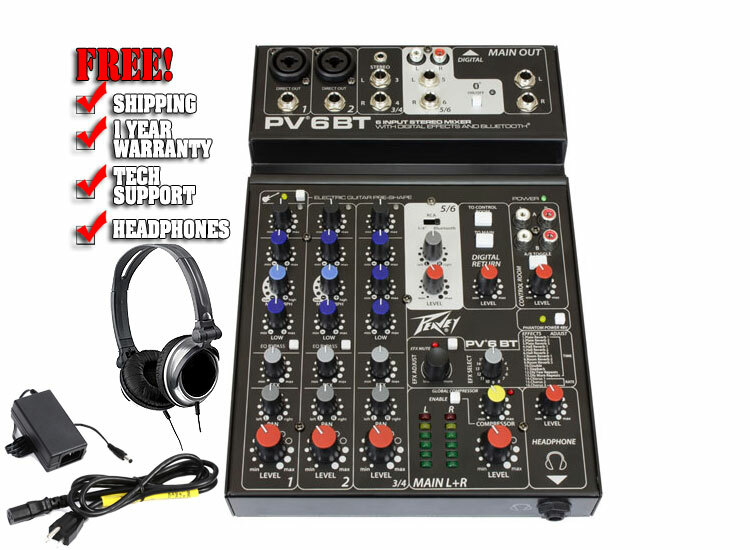 Thanks to Peavey now you can! A great addition to this line of PV series mixers is the selectable hi-Z preamp that changes the onboard EQ and preamp specifically for your electric guitar. You can put away those DI boxes and extra hardware you used to need. This feature comes in incredibly handy when running your guitar direct into your DAW and/or electric guitar amplifier modeling software. 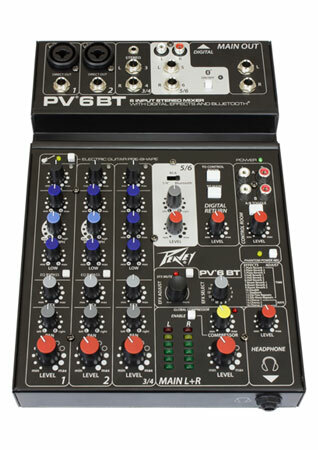 Peavey's PV 6 BT gives you what you need to get a good clean electric guitar sound into your DAW. Onboard effects are hardly a new thing in the world of mixers, but rarely do you see as many useful options in such a low-profile design. 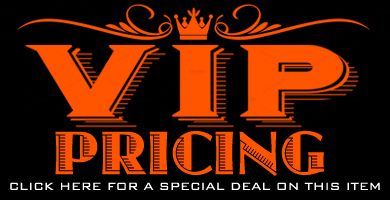 With 16 effects presets, no matter if wild soundscapes are your thing, or you just want to dial in a little reverb to give your inputs a little less of that "direct" feel, you won't be using up more precious inputs with complicated outboard gear to get it. All those effects with individual channel control are built right into your new PV 6 BT. Inputs - Line: 4 x 1/4", 1 x 1/8"
Outputs - Main: 2 x 1/4"
Outputs - Direct: 2 x 1/4"